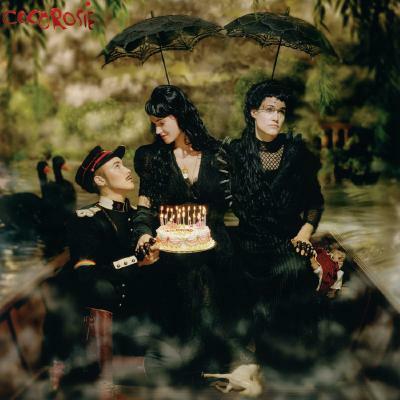 Dan pointed me to CocoRosie and it took me a while to get the hang of their previous album Noah’s Ark which could shine with its odd combination of low-fi singing and strange electronic bits particulaly in K-Hole, Beautiful Boyz and Noah’s Ark. And while I remain a bit sceptic about the whole ‘folk’ and ‘ethnic’ hype that journalists distill from their press kits, their new album doesn’t disappoint. The sound in The Adventures of Ghosthorse and Stillborn is a bit richer than that of Noah’s Ark (maybe a bit overproduced for my taste) and has a light hip-hop sound to it (or whatever too much bass in the beats and people speaking is called). Luckily that’s not enough to make me feel uncomfortable. !! !, a band with a name so ungooglable that they have to write chk-chk-chk along with it everywhere to make it more accessible. Their music mixes instruments with a hint of electronics which I started liking a while ago. In a way their current album Myth takes may be the album going where I would have liked The Rapture’s Pieces of the People we Love to go. Enjoy the disco-ish Heart of Hearts and the full eight minutes of Roll over Beethoven. And if you ever needed an excuse to get a record player, this album may be it. 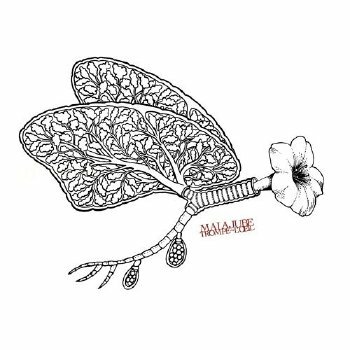 It’s cover and sleeve art is such a finely detailed drawing that I doubt printing it in small CD size does it any justice. Patrick Wolf released his third album, The Magic Position. In his case this means a third hair colour: After blond for the fantastic Lycanthropy and dark for his sophomore effort Wind in the Wires we now arrived at a red that is brought into a somewhat childish context by the album’s cover art. As the image suggests, the album comes along more brightly and with a good helping of pop – in the album’s title track, say. A bit too much pop, people – including myself – might say. While the album hasn’t lost the charme of Patrick’s style and mixing of electronic weirdness with proper instruments, I found it – particularly the first half – too far on the light and shiny side and thus lacking some of the power the previous albums had in songs like Tristan, Paris or even The Childcatcher. I guess we’ll have to wait a year to see whether this lightness is his new way or was just an escapade. Currently he seems to mix both happily. I’ll take bets for the new hair colour until then. 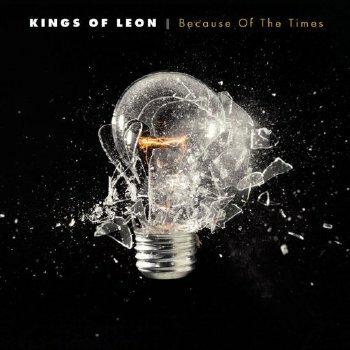 Kings of Leon released their third album as well. I really liked their first album Youth and Young Manhood and their second album Aha Shake Heartbreak had a few good songs as well, so what about their current album Because of the Times? I’m not sure to be honest. To begin I thought the album’s name was about the lamest you could have. And, while looking nice, the cover art just didn’t fit in for that kind of album. And the music is partially on the dull side as well. But it still contains a number of songs I enjoyed like McFearless or particularly Fans. A bit overdone perhaps, but good enough. Arcade Fire’s second full album Neon Bible definitely was one of the most eagerly awaited new albums for me in the past months. Their previous CDs were fantastic, seeing them live was outrageously good, so hopes and fears for the new album were high. 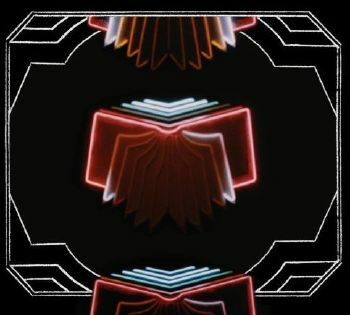 And while Neon Bible may not be as much of a revelation as its predecessor was, it is a solidly good album. The songs are good. But they have become quite boastful and pressing rather than keeping the understatement found on Funeral. My inner conspiracy-theorist is tempted to blame things like mixing and marketing for that, and I am curious to see how those songs work out when played live. Neon Bible and Intervention are my favourite songs on the album so far and I am rather irritated by them putting No Cars Go from their first EP on the CD as well. Perhaps it’s just because it comes from a different context, but I keep thinking it doesn’t fit in. When getting the CD, I knocked myself out and spent a few extra Euros on getting the ‘deluxe’ (or whatever they call it) edition. I can now recommend not doing that. The box it comes is too thick for what’s in there, so everthing makes a shaky noise when moving it and the CD uses even more space in the shelf. The extra flipbooks provide amusement for a minute at best and the cheap printing they used has one of the worst printing stinks I have experiecned (and usually I like that smell). In addition I find that the booklet is not printed nicely (a slight off-white shade for text just looks crap when rastered rather than using a special colour and even if that was intended by whoever did it, printing lyrics in justified text can safely be labelled stupid - or smart and reader hostile, which to me as a reader is the same). This is an odd one that nobody expected – least of all myself. 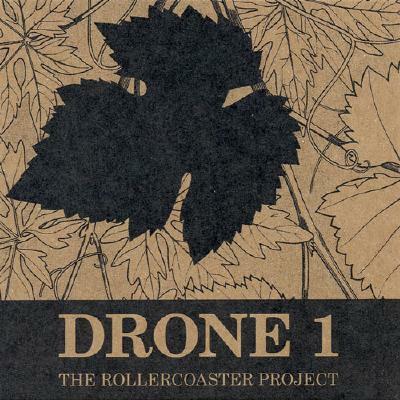 Reader Mike of Dreamboat Records sent me Drone 1 by The Rollercoaster Project who makes what I’d label as ‘strange electronic music’. The CD’s eponymous song is based on the same small rhythmical pattern being repeated over and over again at different pitches. And there’s also a remix version of that song. The third song on there, Algorar, has a touch of Sigur Rós to it but sounds more mechanical than them. 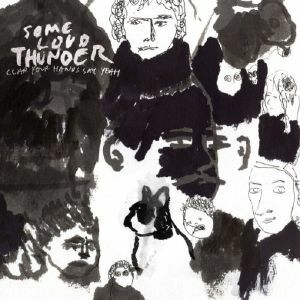 To make the beginning of the year worthwhile my other big obsession, Clap Your Hands Say Yeah released their second album Some Loud Thunder in January. Of course I dug in for the full width of their offerings via Insound – which once again thanks to low American prices and Dollar was reasonably priced despite needing overseas shipping. As a bonus for pre-ordering there was even access to MP3s of the album a week or so before it was released – and thus a fortnight before it made it about the big ocean. The album is all right. I think they overdid it by making the album’s opening and title track sound poorly recorded. It’s hard to see the point of faking bad recording quality. Of course I’m thrilled that the album contains the wonderful Satan Said Dance and other songs like Mama, Won’t You Keep Those Castles In The Air & Burning? directly follow the spirit of their first album. I’m not a big fan of the circuseque Encountering a Crippled Elephant and I note that in some songs like Yankee go Home there’s actually chance to understand the lyrics by listening to the music. While I don’t think it’s the next big thing, I’m starting to like the last track ‘Five Easy Pieces’ which just cries to be used in the closing scene of a film. 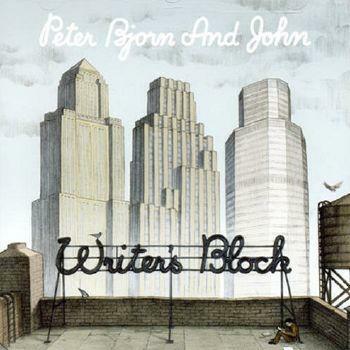 Peter Bjorn and John’s (no they don’t write Björn for some reason) Writer’s Block may very well end up being the most agreeable album of the year. I haven’t met anybody who doesn’t like it so far. And it certainly is enjoyable and relaxed. I hope we are not going to to grow sick of it by the time Young Folks has been played in all clubs and dozens of commercials. The wrong way round thing in the cover art keeps amusing me. And that’s not all. There have been many other albums out which I heard but don’t have the patience to write on or didn’t even bother to buy and just was a collateral listener to. Examples for those would be The View which saw a good deal of hyping but which seemed – to be polite – average to me. I guess it might sell well nonetheless. And just as I could appreciate but didn’t manage to be a big fan of Bloc Party’s first album, their new album A Weekend in the City ‘suffers’ the same fate. It’s all right, but it doesn’t do much for me. But hey, they have a lengthy song called Kreuzberg on there and my flatmate really likes them, so this is not going to pass me completely. Similarly Maxïmo Park remain in their sphere of lacklustre pretence with Our Earthly Pleasures. I’m also starting to develop more and more of a dislike for their singer’s voice. Bright Eyes’ Cassagada can be listened to without problems – all charming but not that exciting or new. And the Klaxons who seem to be the dernier cri over in the UK are also all right, but not that compelling to me. Just like !!! they might be a good replacement for The Rapture’s album, though (all right, enough bitching about that one I guess). Lovers of Swedish music may want to pick up the compliation Labrador 100 by the Labrador label – who are publishing The Legends for example. Everbody quite liked the song Fists Up by The Blow which made it onto one of our kitchen samplers, but the CD turned out to be a bit on the dull side. Little Barrie stay right on track by keeping their charming 1960s style and not being overly exciting at it. Jamie T apparently saw some serious hype a while ago, which went right past me and while it’s not exactly my cup of tea, there may be more than just ‘dull Mike Skinner wannabe’ to the music – in particular less hip hop – he seems to be playing at Haldern this year, so I may lend another ear to him. The Fratellis came to people’s attention by making their way into an iPod commercial (and their song Flathead used there is quite similar in style to Jet’s Are You Gonna Be My Girl which shared the same luck) but the music is too upbeat, poppy and dull for me. Not too bad but not as great as their first album, is The Rakes’ Ten New Messages which may just be a bit too clever for its own good and lack the bits that made Capture/Release rock. Finally, the German band Klez.e who sound, well, quite German. Not outrageously good but not too shabby either. Oh my indifference! Worth recommending to anybody who likes Low or Múm is Explosions in the Sky’s new album All of a Sudden I Miss Everyone. Starting to sound a bit dull to me – Arctic Monkeys with their new album Favourite Worst Nightmare, whose title reminds me of The Hives and the writing on whose cover I loathe. Of Montreal’s new album Hissing Fauna, Are you the Destroyer? is quite interesting as well and Modest Mouse’s We Were Dead Even Before The Ship Even Sank seems promising as well. Those will take a few extra listens, though. A final shout goes to Rob Hoeke. I really started liking his song Drinking on my Bed and when digging through old files recently I found an ancient MP3 with just that song again in a recording that’s much nicer than the one you can get on iTMS. 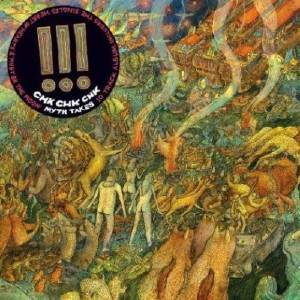 Tagged as clap your hands say yeah, music, patrick wolf. I should probably write a music post of my own (me, blogging, ha! ), but if you enjoy !!! and the Rapture you might want to check out the latest LCD Soundsystem record, which is really quite good. Deerhunter’s Cryptograms is quite nice, as are Amon Tobin’s Foley Room and the nice new Sea and Cake disc. My favorite song of 2007 is Au Revoir Simone’s “Fallen Snow”, though the rest of the album doesn’t quite reach the level of that single. I won’t even begin to list my favourite new music.. I think I owe you a sampler so I’ll resort to using that instead! dan: Samplers are always welcome of course. I hadn’t seen that cover art yet (I think the album is out end of May only around here - released by Haldern records, and they’ll be playing there as well!) but a letter count and look at the duplicates suggests it might just be the band name and album title. I sent Sven his copy of Drone 1, since I’ve always enjoyed Quarter Life Crisis while wearing my other hat as a Mac geek, and I thought the art + design aspects might intrigue him. If any other QLC readers are interested, send me an email (contact info on my website), and I’ll send you a copy at half price (£2 instead of £4). Sven is right about the limitations of the default low bitrate AAC/MP3. It seems the algorithms are not optimised for such inhuman-sounding music. Drone 1 will hopefully be in the early waves of stuff being sold DRM-free at 256k AAC on iTunes — we’re working on this with our distributor right now.